We watched the tidal power plant in Saint Malo. It was a dream of me for a long while to go and see it. We had fun standing ontop of the dam and looking down into the sea side of the installation and watched the troubled waters as the plant began the process and let the water stream out. 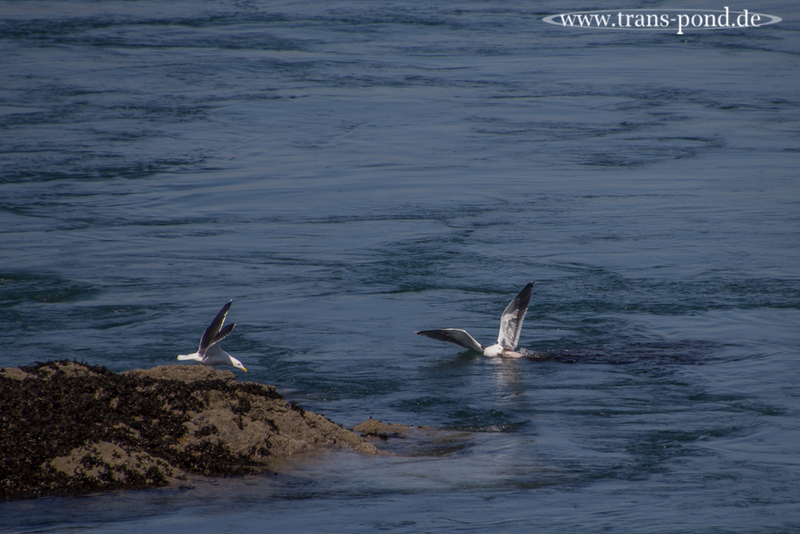 The sea birds were really active at the time, since the waters seem to be ideal fishing grounds. But what on earth has this bird caught here? We watched him drift around with it for a bit, finally landing it on a rock and digging in. The second gull got to share the meal.